Here at Buy Kratom.com, we're proud of the carefully-selected Kratom Extracts we chose to offer in our 16-item product catalog. With literally hundreds of Kratom products to choose from on the internet as of this writing, it can be a daunting task to sift through the junk, and find a few shining examples of what we feel is the cream of the crop when it comes to Kratom Extract. Our personal favorite is often referred to as "Black Label". We simply sell this mid-strength extract as the "Silver" extract. 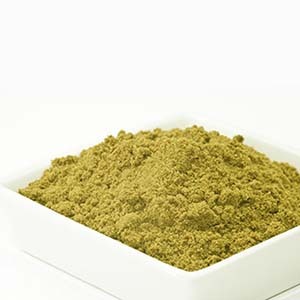 It's also our Top Seller here at Buy Kratom, perhaps because it's a good middle of the road choice that suits most people interested in Kratom extracts. This is how we describe our "Silver" extract: "This is our mid-level Kratom Powdered Extract, and an equally as strong seller as our "Bronze" and "Gold" products. Buy Kratom carefully chose its Kratom suppliers, and this is another product we're proud to offer. Forget all the varying names used by vendors to entice you into buying their product such as "super" or "indo" or "green malay" and countless others; we simply offer you the same carefully-crafted extract that we work with ourselves in simple to understand strengths. All three of our main powdered extracts are from smaller suppliers who have fine-tuned their extraction process over the past few years out of the same passion for Kratom that we have." And, some have asked why we chose this "Bronze", "Silver" and "Gold" scale for our Kratom Extracts. Honestly, it was to keep it as simple as possible. There are so many names for Kratom extracts throughout the web at the moment; everything from exotic names to simple "Indo Ultra" or "Blue Label" and so on, but to us, that only serves to confuse the customer. We also don't think that the "x" designations on extracts are very helpful, unless there are 3 different types to choose from, allowing you to see which is a more concentrated extract. If we had to assign any numbers, the "Gold" would be something like a "20:1" concentration, the "Silver" would be about a 15:1 concentration, and the "Bronze" would be about a 10:1 concentration. See how simple it can be? And, the Kratom extract we offer here at Buy Kratom remains the same, batch to batch, year after year. And, as always, any product you buy from us is fully covered under our 100% Satisfaction Guarantee. If you're unhappy with any extract, leaf, or powder you purchase from us, we will issue a full refund. We have only had about 6 refunds out of thousands of orders, because that's how fussy we were with the extracts that end up for sale on our website.